Stainless steel weighing platform / ABS plastic housing. Numeric keypad for fast data entry. Large, bright, back-lit three-window LCD display. 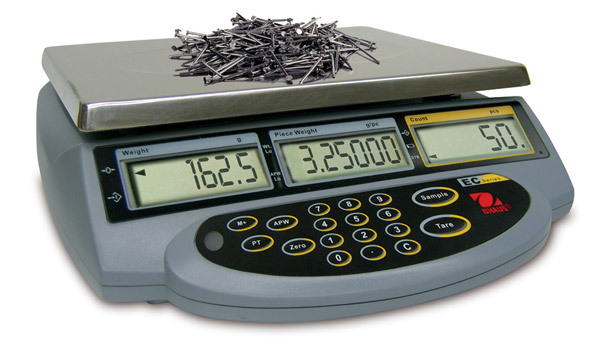 Weight displayed in pounds or kilograms. Operates on internal rechargeable battery pack (80 hours/charge) or AC Adaptor/charger included. Dedicated TARE, APW and SAMPLE key with automatic recall of last sample size entered. Accumulation function for weight and parts count mode.